In the dark expanses of the Sonoran desert in the US, a terrifying creature stalks the night, searching for fresh meat. Anything will do: crickets, rodents, tarantulas – the nastier the better. Even the poisonous scorpion cannot escape the savage monster's little pink paws. It fights bravely, stinging its attacker on the nose. To no avail. The mouse ignores the painful venom and cruelly breaks the scorpion's tail by pummelling it into the ground, then bites its head and feasts on its flesh. Throwing its head back, the murderous animal howls at the moon. Their manners don't improve with age. Rather than making their own nests, grasshopper mice take over burrows built by other rodents, removing the occupants by force if necessary. 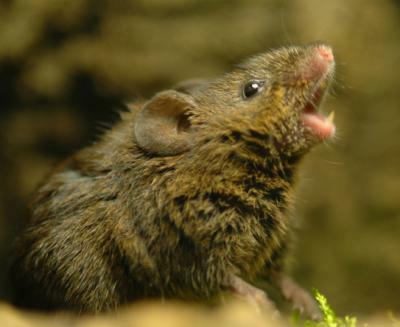 In tough times, the mice will kill and eat other rodents, even those of their own species. Naturalists tell of finding a circus of different flea species on the animals; seemingly souvenirs from their various victims. Venom? Pah! But perhaps more interesting than their cannibalism is their resistance to the venom of the Arizona bark scorpions (Centruroides sp) that share their desert. Among the most poisonous scorpions in the world, Centruroides' painful venom causes muscle contractions and respiratory failure in humans. Yet grasshopper mice kill and eat them without pause. To discover their secret, Ashlee Rowe of Sam Houston State University in Austin, Texas, and colleagues injected a very small amount of scorpion venom into the paw of a grasshopper mouse and a standard-issue lab mouse (Mus musculus). 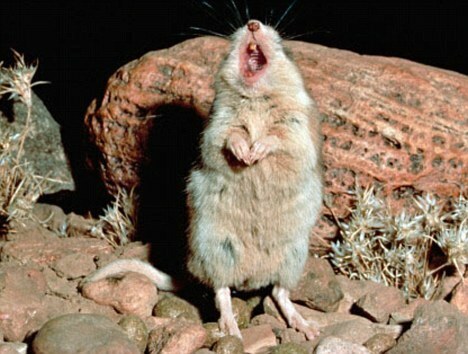 The grasshopper mouse spent far less time licking its paw, suggesting that the venom was less painful to it. The team then removed individual nerve cells from the mouse's spinal cord that convey pain signals to the brain, and measured how the venom altered their function. Normally, scorpion venom activates a protein in the cell membrane called Nav1.7 that makes it fire pain signals. But grasshopper mice, they found, have a mutation in a different protein, Nav1.8, that prevents the signal from travelling any further and reaching the brain. Rowe presented the group's findings at the Society for Integrative and Comparative Biology meeting in San Francisco last week. 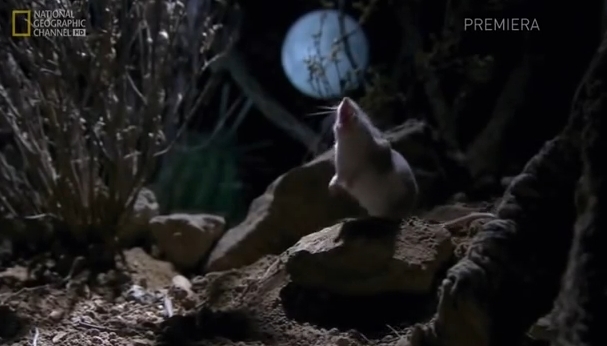 Responses to " Mouse eats scorpions and howls at the moon (VIDEO)"
What an incredible little creature. Love the "howl". What a mouse from Hell! I thank the Spirits that the recent mouse invasion I suffered in my den was only with bog standard Mickeys, _Mus musculus_! Sometimes it seems that Nature can beat Monsanto at the freak games. This is a seriously "hard" mouse. I don't think my cat would tackle that one! ...so we will torture this mouse into extinsion in order to satisfy our desperate desire for eternal life?